We use New Headway, a learning method recognized worldwide that emphasizes on grammar and adjusts to different levels. The course content is based on the identified communication needs and your language level. Our flexible training schedules easily adapts to your time constraints. 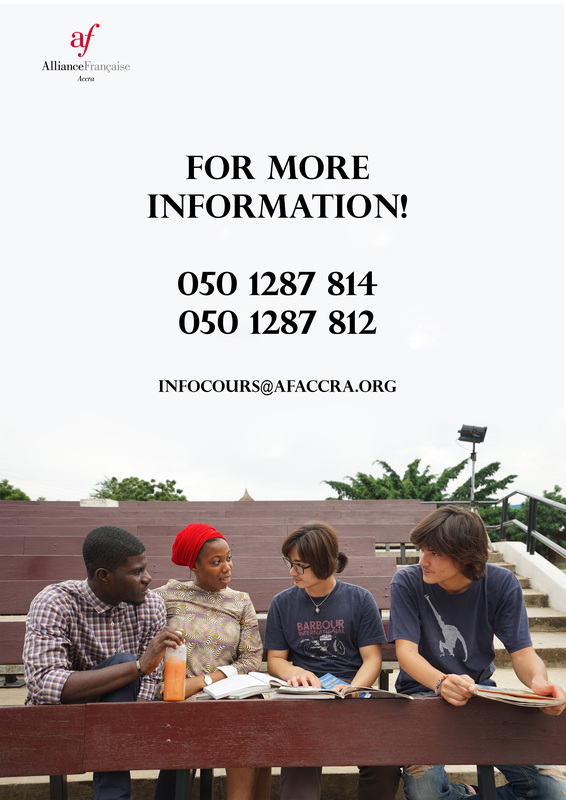 Register at the reception of Alliance Française d’Accra, with a form filled (available at the reception) and one passport picture. Alliance Française d’Accra is located at Liberation Link, behind Opeibea house Airport Residential Area.